Moving on Up is an Initiative which aims to increase the employment rates for young black men in London. By young black men we mean those who are aged 16-24 from black British, black African, black Caribbean and mixed black ethnic groups, who are actively seeking work. The Initiative is a collaboration between Black Training and Enterprise Group (BTEG), City Bridge Trust, and the Trust for London. Since 2014 over £1 million has been invested in research and policy work; practical employment support for young black men; and work with employers. In phase one, six projects were funded to provide practical target support to young black men to find employment. An evaluation of this Initiative was published in July 2017. The development of a second phase of the Initiative started in October 2017 and focuses on three strands of work: Employer engagement in the Construction, Digital and Finance sectors; a cross-cutting communications strand that develops messages and materials which engage young black men and/or employers; and developing and testing a ‘collective impact model’ in two London boroughs to improve employment support and outcomes for young black men. If the model proves to be effective, we hope that it could potentially be replicated to support other disadvantaged groups in different locations. 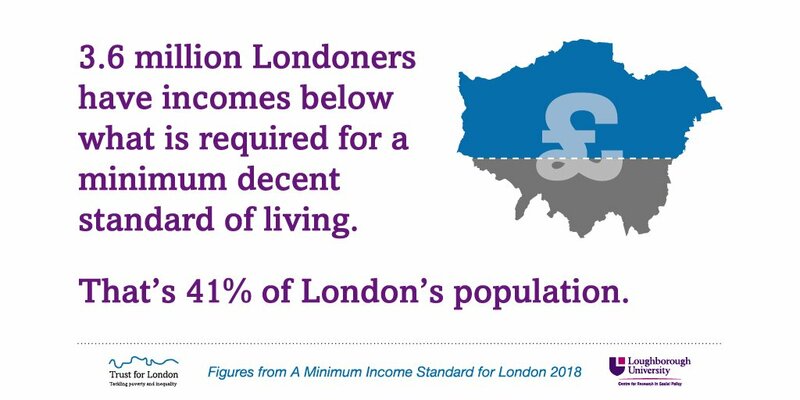 We have also been working with the Mayor of London on this issue and in May 2018 the Mayor of London launched the Workforce Integration Network (WIN) which is partnering with Moving on Up to improve the employment rates of young black. You can find more information on WIN here. Young black men are faring less well in the labour market compared to other groups. This is reflected in the unemployment rate for this group (14% Dec 17), which is higher than the rate for young white men (11% Dec 17), despite huge improvements in their educational attainment. The 12% increase in the employment rate for young black men since December 2016 is encouraging, however it is important to note that these statistics are drawn from a small survey sample. This higher employment rate will need to be sustained longer term to be confident that the MoU ambition to increase the employment rate for young black men in London has been achieved. Underemployment rates are also higher for black graduates than white graduates, of people employed in non-degree level occupations, 17% of black employees have degree level qualifications, compared with only 7% of white employees (Dec 17). We are concerned that employers are missing out on this pool of talented young people. Recent statistics also show that almost 90% of apprenticeships in England go to white people between the ages of 16 and 24. You can read more about Moving on Up at the Black Training and Enterprise Group (BTEG) website. 271 young black men are known to be in paid work following their participation in MoU. This equates to a job entry rate of 40-60%. This finding is based on having data for 66% of the 683 participants that took part in MoU, so the real figure across 100% of participants is likely to be somewhere between 271 and 410. This success rate is comparable to similar programmes in the field. MoU had the biggest impact on participants’ attitude, confidence and understanding of work. Whilst some improvement was seen in career direction and more practical job application skills, survey and interview data indicates that MoU’s impact was driven more by psychological outcomes – with young black men being more motivated, confident, and aware of what employers are looking for in terms of skills and behaviour. The thing that MoU participants valued most about the projects was that the staff cared. Participants consistently appreciated, at times effusively, that the project staff always gave them their time, showed a genuine interest in their success and wellbeing, and never gave up on them. Their descriptions imply, and sometimes explicitly state, that this level of care was rare among people they had encountered from other projects or agencies. MoU participants also appreciated when the projects were targeted and tailored to young black men. Many interviewees said they felt empowered by people caring about young black men as a group, and felt like they were interacting with people who understood them and the specific issues they were facing. Young black men face more challenges than most jobseekers. They are more likely to live in low income households, have been excluded from school, lack key qualifications and have a criminal record. Most lack social capital – the networks of personal contacts that can help young people get started in their careers. They face negative stereotyping from the media and sometimes from employers. Most MoU participants who were asked about this reported first hand experiences of discrimination in their job search or had heard of this from their friends or family. Some young black men need intensive and long term support to help them into employment. Many lack the confidence or motivation to seek a job and the resilience to deal with the setbacks that all jobseekers encounter. A majority of participants started the programme with very high aspirations for their future employment. Lack of aspiration is not what prevents young black men from securing good jobs. A targeted approach helped to attract and engage young black men. Many of the young men who participated took part because it was explicitly focused on young black men. There were very few referrals from JCP. The MoU providers already had good links with JCP but found that few young black men were referred from local job centres. Engaging with employers is essential but challenging. Direct contact with employers helped to improve confidence and motivation, increased the young men’s social capital and sometimes led to job offers. However, getting employers to engage with the programme was a huge challenge. Research carried out by YouGov for MoU found that employers were shocked to learn of the inequalities in unemployment rates for young black men and willing to find ways to address this. But they did not see themselves as having any responsibility for this and did not know what they could do to change things. For example in Hackney where the MoU project operated within a place-based framework which brings together the key agencies who work with or influence outcomes for young black men. A report on Moving On Up by BTEG in June 2018 conducted surveys and interviews with young black men to understand their attitudes towards the financial sector. Such as discrimination in job interviews. Many respondents felt "who you know" matters more than "what you know". Some were concerned with not fitting in with work culture if the organisations were overwhelmingly white. This report was conducted to inform our strategy for the second phase of Moving On Up. Black Training and Enterprise Group’s Action Plan to Increase Employment rates of young black men in London.